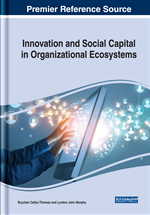 This chapter is in the area of human capital development in United Kingdom (UK) enterprises and investigates innovative methods involving an evolutionary approach. The objective is to investigate the importance of human capital development in terms of employee recruitment and selection, engagement, and the management of human capital. The research question asks, How important are these themes to human capital development? The chapter presents a collection of 12 research studies in three themes of human capital development. These are Theme 1: new forms of recruitment and selection; Theme 2: employee engagement; and Theme 3: leadership and stress management. Several methodologies have been used in the studies reported and these include case study research, mixed methods, primary and secondary data, qualitative research, questionnaire survey, semi-structured interviews, statistical evaluations, and survey research. Findings presented in the 12 studies provide evidence of the importance of human capital development in terms of employee recruitment and selection, and engagement. This chapter explores the area of human capital development involving an investigation of innovative methods. Three main themes are considered and these include employee recruitment and selection, employee engagement, and the management of human capital development. The research question asks how important are these themes to human capital development? A collection of 12 studies are reported in three themes. These are: theme 1 – new forms of recruitment and selection, theme 2 – employee engagement, and theme 3 – leadership and stress management. The objective of the chapter therefore is to investigate the importance of human capital development in terms of employee recruitment and selection, employee engagement, and leadership and stress management. New forms of recruitment and selection include e-recruitment and whether it is an effective e-entrepreneurship method in attracting appropriate employees for enterprises; social media and recruitment and if it is an effective innovative method for recruiting from a multi stakeholder perspective; methods employed in the selection and assessment of specialist staff; and the implementation of social networking as an e-recruitment tool. Employee engagement concerns the exploration of the concepts of employee engagement and the induction process; the attitudes of Generation Y and what implications those attitudes have for employee socialisation and the psychological contract; organization initiatives to improve the level of performance over competitors by engaging employees; and the strategic imperative for organizations to continuously improve levels of performance to achieve a sustainable competitive advantage. Areas of leadership and stress management comprise servant leadership as an effective tool for entrepreneurs to manage their organizations; and employee perception of stress management strategies. A number of methodologies have been employed in the studies reported and these include research conducted through both primary and secondary data, survey research, mixed methods, questionnaire survey, case study research, qualitative research, statistical evaluations, and semi-structured interviews. The findings of the chapter presented in the twelve studies have provided evidence of the importance of human capital development in terms of employee recruitment and selection, engagement, and leadership and stress management. According to Goldin (2019, p.1) ‘human capital is the stock of skills that the labour force possesses’. It is knowledge, habits, social and personal attributes including creativity embodied in labour to create economic value (Goldin, 2014). The importance of the concept of human capital was shown by the Nobel Prize for Economics in 2018 being awarded jointly to Paul Romer, founder of the modern innovation-driven approach to economic growth, with his modelling and conceptualisation work on human capital being one of the key factors (Nobel, 2018). In response to the research question the findings reveal that these themes are significant to the evolution of human capital development especially in terms of new forms of recruitment and selection, employee engagement, and leadership and stress management. The contribution to knowledge is a greater understanding of these components of human capital development in an evolutionary setting. Although there are limitations in terms of other themes of relevance to human capital needing investigation it is recommended that these are investigated in future which will have important implications for policy in relation to this academic research area. The chapter is structured with sections on background, methodologies, research studies, discussion of findings, limitations and future research, and conclusions. The next section provides a background to the studies. Organizational Innovation: Translating a new idea or method into an organization. Employee Engagement: Emotional commitment, enthusiasm, and dedication of an employee to their job and the organization. Human Capital: Skills, knowledge, and experience of an individual or group and their value or cost to an organization. Leadership: Leading, motivating, or inspiring a group of people or employees in an organization to engage in achieving a common goal. Employee Selection: Process of selecting candidates with relevant qualifications and experience for posts in an organization. Employee Recruitment: Finding and hiring a qualified candidate for a job in a cost effective and timely manner. Stress Management: Techniques aimed at controlling an individual’s level of stress and can involve a combination of multiple techniques. E-Recruitment: Use of technology and electronic resources, particularly the internet, to find, attract, assess, interview, and select new personnel and manage the recruitment process for an organization.